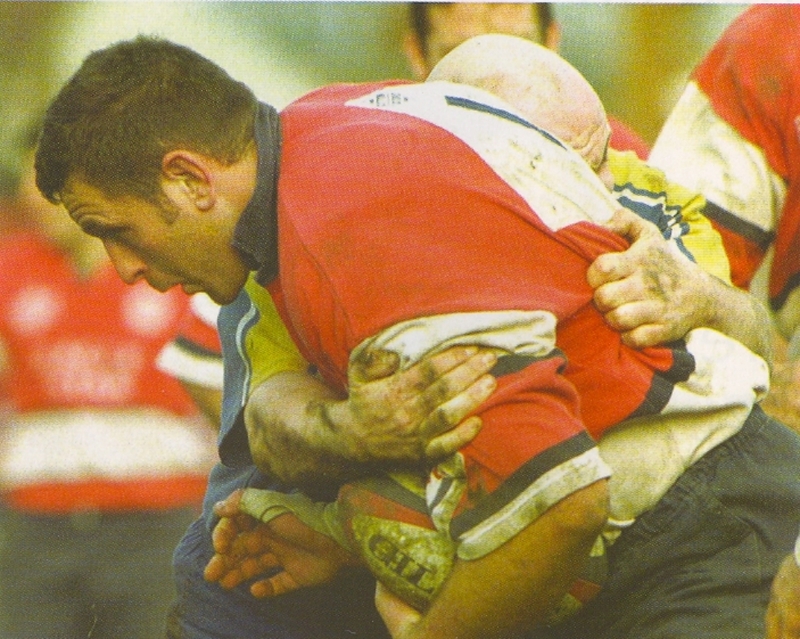 Anthony John Windo, known more affectionately as Reg to his fellow players, was born in Gloucester on 30/04/1969. He began playing rugby for the local Longlevens club before being selected to play for Gloucester United. As one of the early breed of mobile props Windo combined his uncompromising scrummaging style with mobility and a deft pair of hands and it wasn’t long before he forced his way into the Gloucester First XV, appearing as a substitute against Cheltenham at Kingsholm on 09/11/1988. 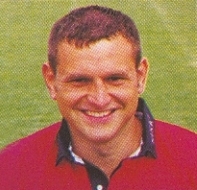 During the 1989/1990 season, in which Gloucester finished in second place in the Courage League table behind Bath for a second year running, he made a handful of starts for the senior side, which led him to be selected to represent Gloucestershire Under 21’s, South West B and England Under 21’s, making his debut against France in 1990. By the end of the 1992/1993 season Windo was becoming a regular fixture in the Gloucester starting line up and the following season he started the majority of Gloucester’s fixtures from December onwards, having recovered from an injury sustained during the pre-season. By 1995-1996 he was attracting wider interest and on 2 December 1995 Windo made his debut for the South West Division against London Counties in what turned out to be the last ever game in the Divisional Championship. The following week he played for the South West against Samoa at Kingsholm. His 100th match for Gloucester came in the 1996 Pilkington Cup semi final defeat against Bath at The Recreational Ground. Before rugby turned professional in England at the start of the 1996/1997 season, Windo combined playing rugby with his career as a warehouse supervisor. 1997 saw the Cherry and Whites suffer more cup heartache as Windo started the narrow 13-15 Pilkington Cup semi final defeat to Leicester at Kingsholm. 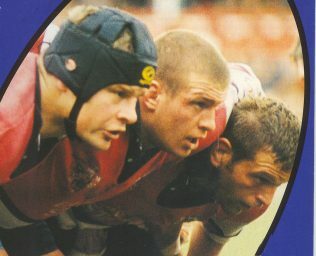 During this period he formed a formidable front row partnership with Andy Deacon and Phil Greening. By 1998 Windo was catching the eye of the England selectors as a result of his impressive form for Gloucester, which led him to miss the Cheltenham and Gloucester Cup victory over Bedford due to being selected to represent England A, before being selected for England’s summer tour to Australasia and South Africa. He started all three non-international matches (against New Zealand A, New Zealand Academy and New Zealand Maori), but was never likely to disturb the established front row of Vickery and Rowntree. He picked up a hamstring injury late in the tour. Windo’s final season at Kingsholm ended with mixed fortune having started the 1999 Tetley Bitter Cup semi final defeat away to Wasps, he starred in the Cheltenham and Gloucester Cup final victory against Bedford at Northampton’s Franklin’s Gardens. 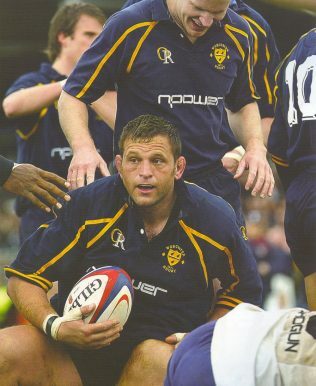 In July 1999, after over 10 years at Kingsholm and 180 first XV appearances, Windo signed for Worcester Warriors who were competing in the second tier of English rugby, known then as the Allied Dunbar Premiership Two. He made his debut against Manchester in September the same year, helping the club to third place in the league by the end of the season. The following three seasons saw Worcester finish second in what was now known as National Division One. Finally in 2003/2004 Worcester gained promotion to the Zurich Premiership for the first time in their history having won each of their 26 league matches, with Windo playing a pivotal role in the club’s league title campaign. During this period he also captained Gloucestershire to the 2002 county championship title, after beating Cheshire 26-23 in the Twickenham final, and was selected to captain the England Counties XV on their 2002 three match tour of Chile, which included a test match against the Chilean national team in Santiago. However, the then director of rugby at Worcester, John Brain, was unwilling to release Windo for the tour to play what he described as ‘…a dubious level of rugby’. With Worcester managing to maintain their Premiership status and having been named in the 2005/2006 Sky Sports Dream Team, Windo signed a new one-year contract with the Guinness Premiership club in April 2007 to remain at Sixways in a player-coach capacity, as he began to make plans for life after playing professional rugby. This extension to his contract allowed him to make his 100th Premiership appearance aged 39 when the Warriors played Bristol at The Memorial Ground on 03/05/2008. Towards the end of the 2007/2008 campaign Windo signed a two year deal to join the Warriors’ back-room team on a full-time basis as assistant forwards coach and his final game as a professional came on 29/05/2008 in Worcester’s 2008 European Challenge Cup final defeat to Bath at Kingsholm – the ground where his playing career had begun almost 20 years ago. Windo called time on a playing career that saw him play over 400 senior games for Worcester and home town club Gloucester, 101 of which were in the Premiership. During his time as a player at Worcester he scored 23 tries for the Warriors, thus further demonstrating his seamless transition from the amateur era to the modern professional age. In recognition of his loyal service to the club he was awarded a testimonial by Worcester who took on Moseley at Sixways in August 2008 to mark this occasion. Four months into his new coaching career he was selected to represent the Barbarians in their 33-14 victory over the Combined Services on 04/11/2008, gaining his first and only cap for the prestigious representative side. With his current contract due to expire at the end of the 2009/2010 season Windo put pen to paper on a new three year contract at Sixways Stadium to remain a key part of the coaching staff. Unfortunately, this coincided with Worcester being relegated from the Guinness Premiership. Before the start of the following season in the RFU Championship he became the Warriors’ skills development and scrum coach, working with the first team and the academy, and was appointed head coach of Stourbridge RFC, a role he was allowed to combine with his commitments at Worcester in order to build stronger links with the local National Division One club. In March 2011 he was forced to dust off his boots for his first competitive match for almost three years in a league fixture against Otley after an injury crisis at Stourbridge. In his new dual coaching capacity Windo helped to guide Worcester straight back in to the Premiership as they won the 2010/2011 Championship title, losing just one of their 22 league fixtures. After 12 years as a player and then coach at Worcester Warriors, Windo left on a high to become Director of Rugby at Bromsgrove school. In this role he was given responsibility for developing links with local clubs and schools, including Worcester Warriors, and promoting Bromsgrove as a centre of excellence for youngsters keen to further their skills and participation at all levels of rugby. Having made a career choice to step away from full time professional coaching and work in an independent school, the lure of a return to the professional game was too tempting when Gloucester head coach Nigel Davies appointed Windo as scrum coach on a consultancy basis at his home town club in July 2012. Windo joined Gloucester on a part-time basis, working with the Gloucester pack on set-pieces, thus allowing him to continue his role at Bromsgrove School. Tragically the position on the Gloucester coaching staff had become vacant after the sudden death of Gloucester legend John Brain, with whom Windo had both played during his first few seasons at Kingsholm and played under at Worcester. Nigel Davies was keen to replace Brain with an ex- Gloucester player and in Windo he appointed a local lad who fully understands the proud history and tradition of the club.